Hive Power develops a turnkey solution for the creation and management of local energy communities on the blockchain, providing an economic optimization for their participants by lowering their bills and valorizing their assets. In collaboration with meter producers, Hive Power is building a blockchain ready energy meter, which allows to safely tokenize energy. Differently from its competitors, in addition to the blockchain platform Hive Power also provides an efficient energy trading mechanism perfectly tailored to the use case of energy communities. The HONEY algorithm exploits customers’ flexibility to optimally match production and consumption, such that the community’s welfare is maximized and grid technical constraints are satisfied. Our vision is to provide everyone with the possibility to create and manage electrical energy communities on the Etherum blockchain, creating a world of shared energy for a brighter future. We believe that the future electrical grid should be characterized by an increase of energy sharing between prosumers, consumers and electric utilities, optimizing the energy resource and the usage of the infrastructure. In several countries, the current unbundled situation allows the end-users to freely choose their energy supplier. In this context, enabling technologies like blockchain, and more specifically Ethereum, will allow decentralized prosumers to safely buy and sell electricity to each other at negligible marginal costs. Hive Power is a spin-off funded at University of Applied Sciences and Arts of Southern Switzerland (SUPSI) in August 2017 by a team of researchers active in the field of electrical load management, as a part of Swiss national center for electrical infrastructure (SCCER-FURIES). 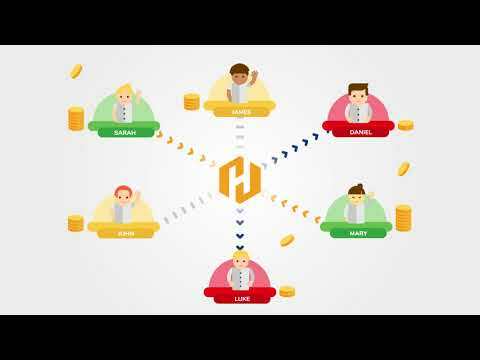 Hive Power develops a platform, which is running entirely on a public blockchain. Our goal is to create energy sharing communities where all participants have a guaranteed economic benefit. In contrast to other energy sharing market schemes, the Hive Power platform is designed to take into account technical aspects of the grid, such as the power quality standards in the distribution grid. Team looks solid and good vision looking for prototype. I’m not too familiar with the whole team though the core team and founder are strong. The project addresses a critical need. The tech team is also strong so they will be able to create multiple upgrade generations. The use cases presented in the video are only a fraction of its potential use cases. They need to expand their thoughts to secondary markets. Sound prototype. They’ll require to operationalize. Great job.